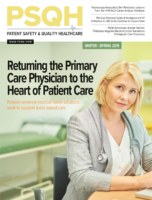 This member-only article appears in the December issue of Patient Safety Monitor Journal. Violence against ER physicians is pervasive and increasing, research released this October shows. In a survey conducted for the American College of Emergency Physicians (ACEP), a majority of the 3,539 doctors polled said they had been the victims of workplace violence recently. About 62% of ER physicians reported being assaulted in the past year, with 24% saying they had been assaulted two to five times. “The main point is this is a problem that is real, it is increasing, and unfortunately the results of this poll will not surprise any practicing physician,” Vidor Friedman, MD, ACEP president-elect and an ER physician in Florida, said during a press conference October 2. The press conference focused on research findings, solutions for violence in ERs, and the impact on patients who witness acts of violence. In addition to the survey, “ACEP Emergency Department Violence Poll Research Results,” unpublished research unveiled showed a significant increase in ER violence in Michigan. The Michigan research compares survey data from 2005 and 2018. In 2005, about 28% of ER physicians surveyed said some form of violence had been perpetrated against them in the past year. In 2018, the figure had risen to 38% of ER physicians. Physicians are not the only emergency department personnel enduring violent encounters, the lead author of the Michigan research said during the ACEP press conference. “Every job title had violence perpetrated against them. What we found is that the time you spend with the patient increases the chance that violence will be perpetrated against you,” said Terry Kowalenko, MD, chair of emergency medicine at Beaumont Hospitals in Dearborn, Michigan. Kowalenko said there are four approaches to addressing violence in emergency departments: hospital policies, environment changes, staff education, and legal. Policies related to violence in the ER should be clear and consistently enforced. This approach applies to policies that may seem indirectly related to violence such as rules governing how many visitors can see a patient at one time. Environmental factors include security, cameras, and “badging” in and out of an ER’s treatment area.